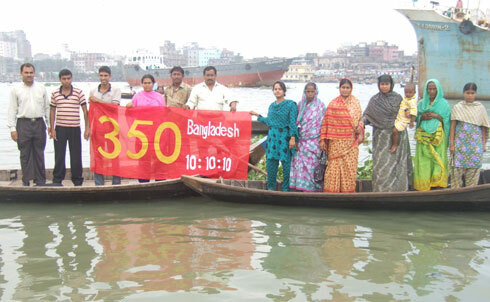 On Sunday, October 10, people at 7347 events in 188 countries celebrated 350.org‘s 10/10/10 Global Work Party by implementing small-scale climate solutions and urging governments the world over to work for sustainable and swift climate action. From Bangladesh to Australia, Ghana to Guyana, people gathered to plant trees, cultivate gardens, ride bikes, clean beaches and press people the world over to reconsider the costs of ignoring a quickly changing climate. The events set the record for the greatest number of recorded protests in a single day in world history and each gathering serves as an example of the steady, determined and immediate changes we need to make to begin to lessen the effects of global warming. 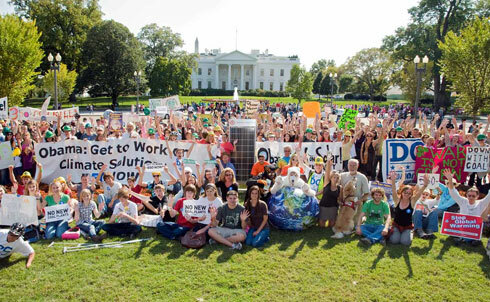 In Washington, DC, activists gathered in front of the White House to urge President Obama to pass clean energy policies and to make a global climate agreement a priority for his administration. 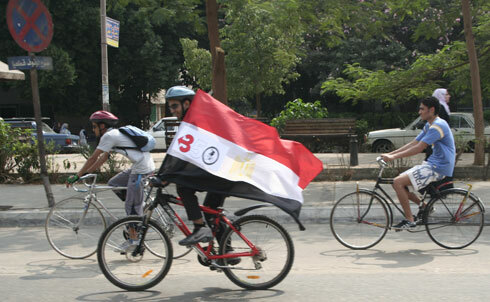 In Egypt, the Cairo Cyclists Club joined with youth climate activists to ride from Cairo to the Great Pyramids and back to encourage carbon-free transportation. 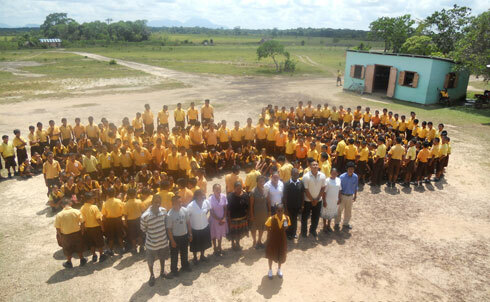 Students of Bina Hill institute and the Annai Secondary School in rural Guyana joined hands to urge global leaders to protect Guyana’s remaining rainforest. The Institute’s Bertie Xavier wrote that "the Indigenous people of Guyana and more so the youth of today is in full support of this event and hope that we can make a huge impact in the fight against climate change." 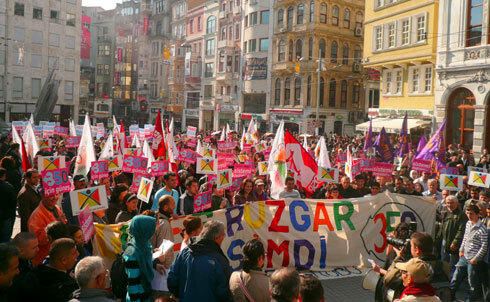 In Istanbul, over 7,000 people marched down the historical Istiklal Street in the city center to urge politicians to pass clean energy policies. 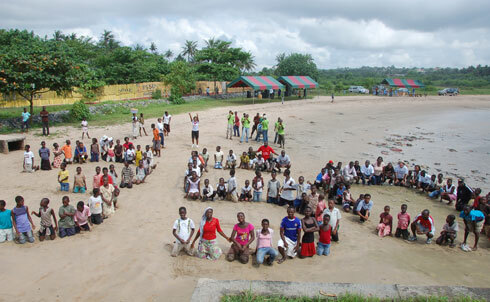 On the Burigonga River, community members raised awareness about how climate change is affecting the world’s waterways. 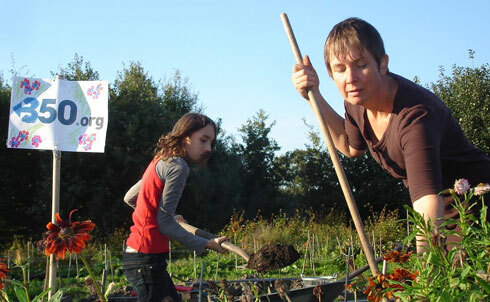 Denekamp activists gardened to promote local food systems as a solution to climate change. 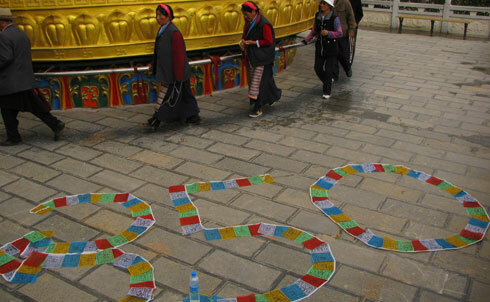 At a temple in Shangri-La, activists spelled out ‘350’ in prayer flags to promote the spiritual connection to preserving the earth, its climate and its people. 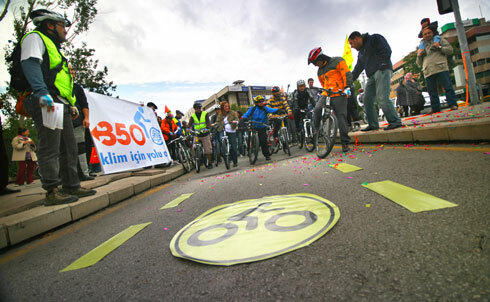 In Turkey’s capital city, community members gathered to celebrate the opening of a new bike lane and to encourage carbon-free transportation. Over 100 people from the twin cities of Sekondi and Takoradi removed tons of debris from wetlands and planted hundreds of mangroves as part of an integrated coastal and fisheries governance initiative called Hεn Mpoano (Our Coast). 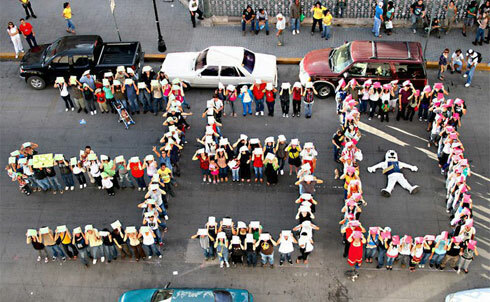 Citizens and activists from a variety of environmental organizations gathered in a plaza in Chihuahua city to urge Mexican President Felipe Calderón and other world leaders to take immediate action against climate change.